There are several common landlord tenant legal disputes that arise between landlords and tenants. 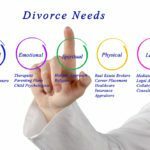 This is why both landlords and tenants call the Jacobs Law Firm, Orlando Landlord Tenant Attorney, Lake County Landlord Tenant Attorney, because both parties want to know their legal rights. Landlord tenant legal disputes are largely based on Contracts between the parties, which are generally referred to as “Lease Agreements.” There are two primary types of contracts between landlords and tenants. First, there are commercial lease agreements, which govern the conduct and transactions between landlords and business tenants. The second, and most common form of these contracts is called a residential lease agreement. Both leases are unique in their own way. The differences between the two types of contracts is significant because they serve different purposes. The Jacobs Law Firm engages in litigation for both sides if necessary. 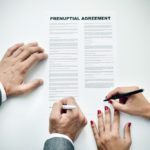 Dispute resolution through demand letters and settlement negotiations is generally our first priority to avoid the expenses of litigation. Attorney Jonathan Jacobs is an Orlando Landlord Tenant Attorney and a Lake County Landlord Tenant Attorney. It is important to keep in mind that some landlords and some tenants have clear-cut cases where they are absolutely on the right side of the law. In some other cases, the parties are engaged in legal disputes because the contract the parties signed does not clearly contemplate the sort of conditions that would lead to the legal fight. It is important that contracts are written clearly and unambiguously to allow for fair dealing and the avoidance of lawsuits. 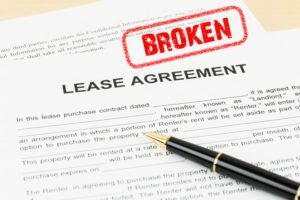 Then again, even a well-written commercial or residential lease agreement can contain clauses that can be applied in numerous ways. 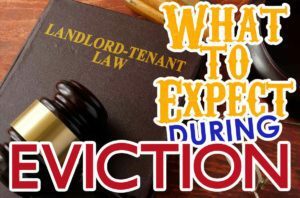 There is no true way to account for all issues that will arise, but an Orlando landlord tenant attorney will advise you it is smart to avoid common mistakes that lead to landlord tenant lawsuits. Prevention is better than the cure! We announce our geographic coverage to ensure clients realize our scope is not limited to just one area, or one type of landlord tenant client. Being a Clermont landlord tenant lawyer allows for the representation of burgeoning businesses and rental tenants as Clermont is a fast-growing area. Many business owners need for their commercial leases to be reviewed because making a three or five year commitment to leasing a building can come with a hefty price tag, and many unexpected costs. Attorney Jacobs, eviction lawyer Orlando, expertly reads clients’ contracts to make sure his clients are aware of all of the costs, and possible areas of concern that may cause the contract to be revisited and revised. Being an eviction lawyer Orlando allows for a wide variety of legal representation. 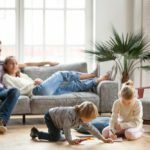 The Jacobs Law Firm represents clients with mold problems, clients who have been actually and constructively evicted, clients and landlords that are in dispute over which party is responsible for repairs, parties that owe rent or seek to collect rent, and of course, commercial landlords and tenants. 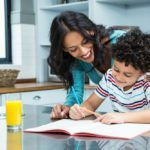 Even tenants that need help with filling out applications for rental agreements might need help filling out their legal documents. Landlords seeking eviction often ask for the 3 and 7 day notice forms. Landlord tenant law is about notice, openness, fairness, and communication. I.e., Due Process! How Can an Orlando Landlord Tenant Lawyer and a Clermont Landlord Tenant Lawyer Help you? Beyond reviewing commercial leases, residential leases, eviction notices, and ensuring parties are in substantial compliance with Florida law, we can help clients prevent difficult situations from becoming lawsuits. Attorney Jonathan Jacobs can help you mediate your issues with your landlord or tenant(s) so that a lawsuit will be unnecessary. Moreover, as an Orlando landlord tenant lawyer and a Clermont landlord tenant lawyer, Attorney Jacobs can help by offering legal advice on how to avoid liability depending on the circumstances you may find yourselves in. Ever hear about an unlawful detainer action? Civil litigation can be expensive and time consuming. For additional information, read on folks!